“The Office” will be closing next year. Producer Greg Daniels says the NBC comedy will conclude business at Dunder Mifflin after the upcoming ninth season. He said Tuesday that the final year will be exciting and memorable and will take creative chances. And it will reveal who’s been making the mock documentary that has provided the show with its format. 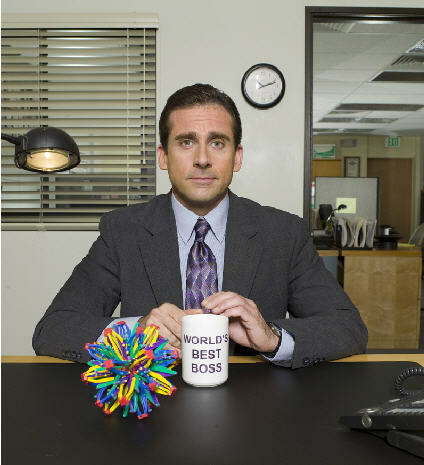 Will former regional manager Michael Scott return as a guest? Daniels says he hopes Steve Carell will reprise his role as the socially inept boss, but he isn’t counting on it. Carell left in 2011. “The Office” was adapted from its British predecessor and premiered on NBC in March 2005. While its ratings have slipped, it’s still NBC’s highest-rated scripted series. Great post. I used to be checking constantly this weblog and I’m inspired! Extremely helpful info specially the ultimate phase 🙂 I handle such info much. I used to be seeking this certain information for a long time. Thank you and good luck.